Randy Braun, CPESC, CPMSM - EnviroCert International, Inc.
Randy Braun received his Bachelor of Science degree in Natural Resources and Environmental Science from Purdue University in May 1980. In August 1980, he accepted a position with the Indiana Department of Natural Resources (DNR). During his first seven years with DNR he worked on Indiana’s accelerated soil survey program. In August 1987, Mr. Braun accepted the position of Storm Water Specialist for southeastern Indiana and, in November 1991, he became an Assistant Director for the DNR, Division of Soil Conservation Storm Water and Sediment Control Program. As Assistant Director, he oversaw the field implementation of the construction site run-off program, which was jointly administered with the Indiana Department of Environmental Management (IDEM). In May 2005, Mr. Braun accepted the position of Storm Water Program Manager with the Indiana Department of Environmental Management. His responsibilities included implementation of NPDES storm water regulations related to construction, industrial, and Municipal Separate Storm Sewer Systems (MS4s). He is currently the Section Chief for the Storm Water and Wetlands Program and continues to oversee implementation of Indiana’s Storm Water Programs in addition to 401 Water Quality Certification and isolated wetlands regulations for the State of Indiana. Mr. Braun obtained his Certified Professional in Erosion and Sediment Control (CPESC) in December 1998. He is also a Certified Professional in Municipal Storm Water Management (CPMSM), which he obtained in February 2010. He served as a member of the committee responsible for the development of the CPMSM certification program and study guide. He currently serves as the Indiana representative for the CPESC certification and is the Regional Representative for EnviroCert International Inc. for Indiana, Minnesota, Illinois, Michigan, and Ohio. 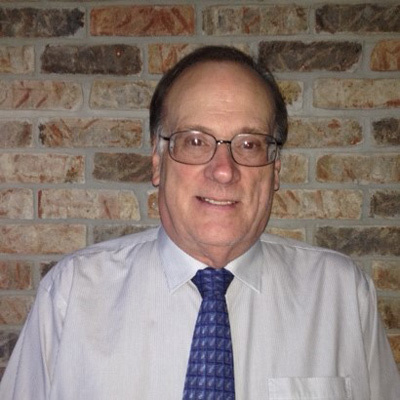 Mr. Braun is the IDEM liaison to the Indiana Association of Floodplain and Stormwater Management, Inc. (INAFSM). In 2013, he received recognition for Excellence in Storm Water Management presented by the INAFSM. He has served as a state representative for CPESC and served on the council.